My blog I’ve missed you I love you! Preparing to move to NYC has had me in such a whirlwind. I haven’t read in weeks; all my free time has been used for apartment hunting. I’m actually currently in the city looking for an apartment! And I have to say, I read the perfect book for my move. 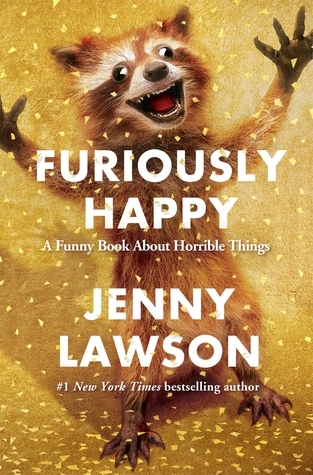 I started Jenny Lawson’s Furiously Happy while on the plane, and it so does not disappoint. I don’t see it as a sequel necessarily, although reading the first book led to understanding who Victor is (her husband) and how awesomely insane her father is. I follow her blog, but not insanely close. For the record, I don’t follow any body’s blog too closely, which is why I’ve floated away from mine briefly. And, I’ll admit, I didn’t know who she was until after I started her first book, Let’s Pretend This Never Happened. Jenny Lawson’s book is pretty real. 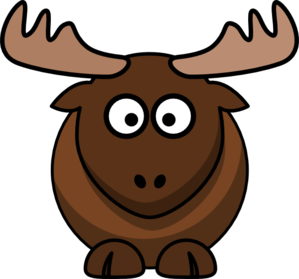 It’s a collection of short essays (similar to David Sedaris, Mindy Kaling, Jen Lancaster….etc.) with an overall focus. This book focuses on her accepting and navigating her mental illnesses. I saw some people just cringe. Mental illness has such a stigma, which is why her book is SO GREAT. If you don’t know me well, please know that I am dramatic, a panicker, and frequently working very hard to keep my stress levels low in order to not have to deal with a flare up. I constantly think I should get on anti-anxiety medication and maybe on occasion anti-depressants, but instead, I stick with my autoimmune meds and sleep meds. With my upcoming move, I’ve definitely had the waves of wondering if I can do this, if I am really great at my job, if I am cut out for this at all, can I deal with NYC, can I deal with being more than 45 minutes away from my family, etc. Reading this book made me feel better. Sometimes you have to get outside of your comfort zone and live a little, sometimes doing things that scare the hell out of yourself. The book is pretty hilarious too. Charlie (my dog) better be happy that I never decided to get him anything to ride on him, or that my insomnia usually leads to watching mindless tv and/or cleaning. And you’ll find yourself nodding along with her, understanding exactly what she’s trying to explain how she feels at certain times. For me, her comparisons of how her body is turning against her (and zombie-fying) really hit home as my body creeps up towards needing another round of Rituxan. Fellow Spoonie here, yes. My only complaints, which aren’t really complaints, but if I had to have negative things to say about it, it’s this: I hate book notes in e-books (nothing against this book, more against my tablet), and the corrections of literals. I’m fine with a few of them, but by the end of the book, I started to overly notice them. So the TL;DR: if you find yourself weird, and don’t think you’re perfect 24/7, and you’ve thought to yourself, “does anyone else feel this way?” Pick up this book and give it a read…..and then get her first book too.